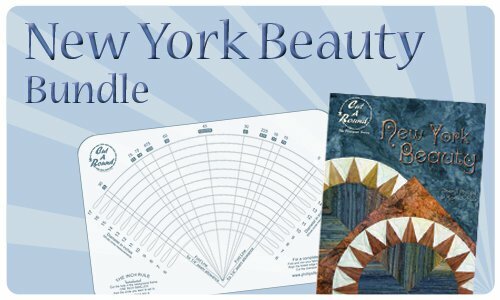 Sew folded points between wedges, add a quarter circle and a corner frame, and you've got the quickest New York Beauty block ever! 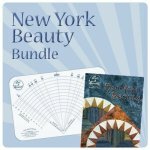 It's easier than piecing traditional set-in points, yet it preserves the elegance of the New York Beauty block. 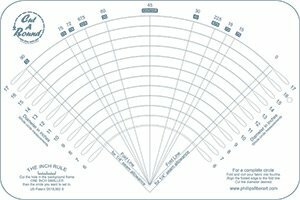 The two shaped acrylic templates, included in the back of the book, will greatly improve your accuracy. Built in borders for added ease and easy cutting make this a must have book for your quilting library.